Here again is another book about death. I apologize for reading such morbid books recently, especially around the holiday season, but there you are. It can’t be helped. 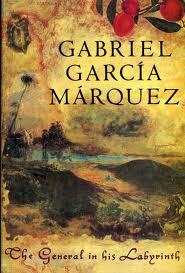 The General In His Labyrinth is a departure from Gabriel Garcia Marquez’ typical subject, or so I am told. His writing style, normally in the magical realism world that’s become so celebrated from South American and Spanish authors and that he brought to its current pinnacle with One Hundred Years of Solitude (it’s on my to-read list), departs here from that and ventures into the real world, with recorded history and demonstrated fact. Or so it appears on the surface. The General In His Labyrinth is purportedly a retelling of General Simon Bolivar’s final voyage, a melancholy journey down the Magdalena River. Garcia Marquez narrates the General’s political triumphs and failings, his conquests both military and romantic, his recollections of his friends, enemies, lovers, plots, battles, and travels. But we learn in the author’s afterword that he ‘was not particularly troubled by the question of historical accuracy, since the last voyage along the river is the least documented period in Bolivar’s life.’ And so thus we discover that this book, perhaps, is no less ‘magical realism’ than Garcia Marquez’ other works, and no more bound by fact than the invented characters in his otherworldly stories. It’s a story that moves as slowly as the waters in the river the General is traversing, and indeed I almost wonder if Garcia Marquez did not write it with the intention of making it feel as though by reading the book one is also taking a gentle voyage down a slow and meandering river. You can almost see the waters lapping against the shores, the villages along the riverbanks, the mosquitoes and the hot sun on your skin and clothes. There are many things that make this book special, but I’ll focus on three of them. man whose life should stand on par with that of Alexander the Great, Napoleon Bonaparte, Ghengis Khan, Julius Caesar, and all the other immortal conquerors of history. It was full of war, love, betrayal, and power, and these things are perhaps the elements that make the best stories. But it’s not simply the General’s recollections that make him an interesting and charismatic figure. 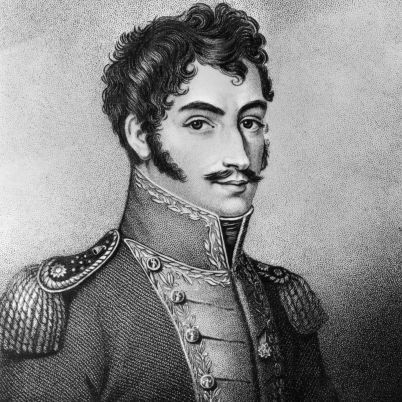 His eccentricities through his illness, his fiery temper and vicious sarcasm, his love of dance and beautiful women, the way his men worship him and protect him as he descends into death – all this and more makes Simon Bolivar one of the richest and most complex characters I’ve ever read about. He is, truly, stranger than fiction. Second is Garcia Marquez’ writing. I had never read anything of his before, and this was a lovely introduction to his style. Of course, it’s coming to me through a translation, as I don’t read Spanish. But Garcia Marquez’ prose is as simple and elegant as anything I’ve ever read. Full of the wisdom that, I imagine, can only come from those who have lived life and seen the world, his writing plumbs the depths and illuminates the heights of one man’s soul, and brings the world around him vividly and powerfully to life. And third, finally, fittingly, is the last passage in the book. The book is beautiful, elegant, and interesting, but nothing made me really love it until the last line. I could read it over and over and over again. I could read it one hundred thousand times and it would still be powerful. It alone was worth everything else. There is no better reason to read this book than to have a context for the final passage, one of the most magnificent closing lines to a novel I’ve ever read. I give it four out of five stars, but that last line gets a hundred. I’m so glad to read this wonderful review of one of my favourite writers. I love your descriptions!..I highly recommend Of love and other demons…it’s more manageable than One Hundred Years of Solitude but they are both illuminating and have a passionate style. Great recommendation! I have always thought One Hundred Years to be a little daunting, and for some reason I just haven’t been able to get into Love In The Time Of Cholera, so I will try your suggestion. Thank you! You’re very welcome! I am really enjoying your book reviews. You have a way of explaining the stories and style without giving away too much. Thank you! I’m glad you enjoy them, because I love writing them. Cheers!